LOCASH, the acclaimed duo who “you can always count on to bring the party,” (CMT), is blanketing Atlanta with their “performance style that has consistently been among the most energetic and entertaining in the Country music genre” (Billboard) all weekend long leading up to Sunday night’s big game. Football fans in Atlanta for football’s biggest party can catch live a performance from the gregarious pair at the New England Patriots Official Fan Rally at Super Bowl LIVE presented by Verizon at Centennial Olympic Park on Saturday at 1pm. “All season long, we’ve been up close and personal with football fans during Pepsi’s Tailgate Tour and we are thrilled to entertain them all week-long in Atlanta,” said Preston Brust of LOCASH. “We’re looking forward to sharing our new music with our fans and can’t wait to see everyone on the road this summer,” said Chris Lucas of LOCASH. 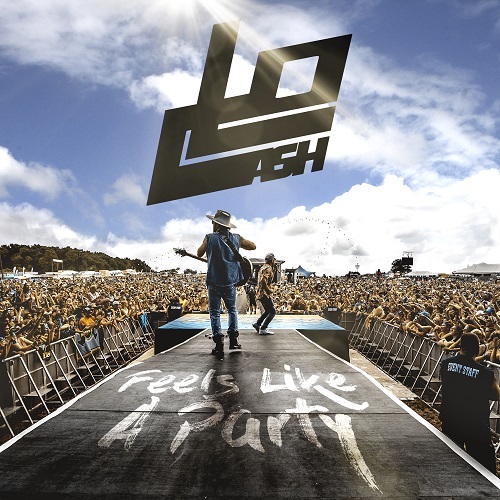 Known for their hits, including GOLD-certified, “I Love This Life” and #1 smash, “I Know Somebody,” LOCASH is one of the most exciting duos in the format today. The pair has been hard at work the past few years, in the studio and traveling the country as part of their own headlining tour as well as in support of Tim McGraw and Faith Hill’s SOUL 2 SOUL Tour. Their latest project and their first with new label home Wheelhouse Records/BBR Music Group, Brothers is due out later this year.